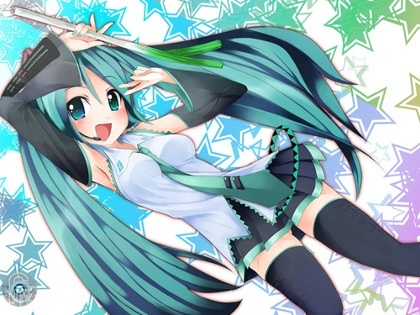 Rubenerd: #Anime Happy Miku day! It's Miku Day and all she got from me was this lousy blog post ^_^;;. Actually it's even worse than that, Miku Day was yesterday! Hatsune Miku is of course the insanely popular idol originally from Yamaha's Vocaloid2 voice synthesiser software, but she's since been serialised in her own manga, has games released, and has even appeared in Sayonara Zetsubō Sensei (of course!). Older post → 90s nostalgia and the Libretto 70CT!